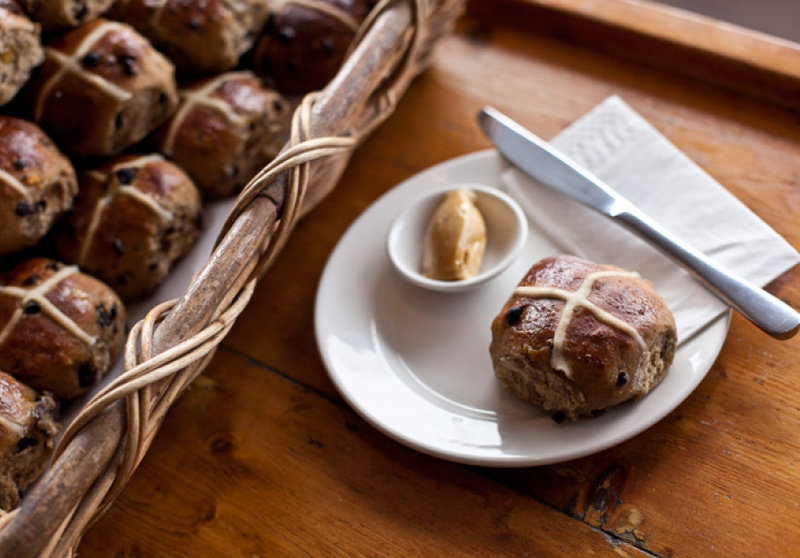 We tasted hot cross buns from all over town in a quest to find the best of the bunch. 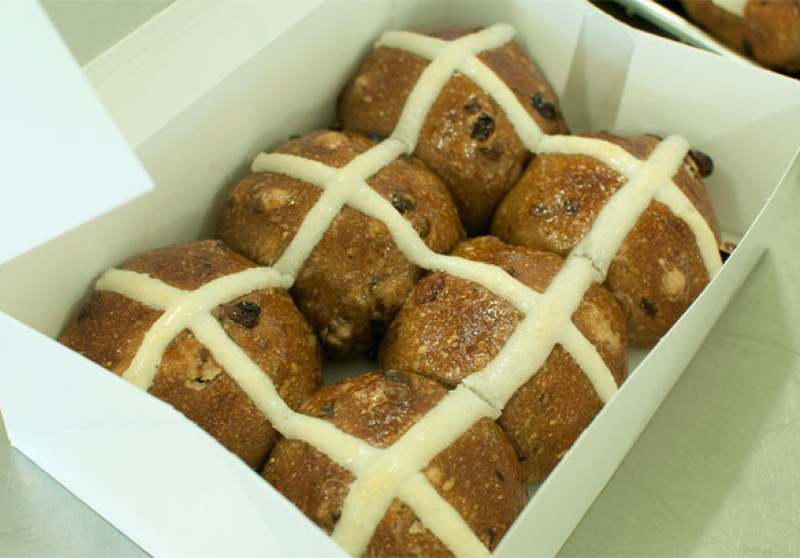 Public holidays and truckloads of chocolate might be key two of Easter’s key constituents, but in our mind the highlight is definitely the swathes of hot cross buns that hit bakery shelves in the month or so leading up to Good Friday. Deciding which bun is worthy of our hard-earned dollars is, of course, a difficult task so the Broadsheet team got together to taste test some of the best of Melbourne’s buns. Buns were tasted – first plain, then toasted and slathered with butter. 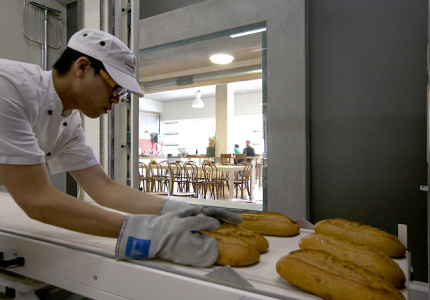 They might be obvious choices, but these bakers are making the best buns in town. This is the one hot cross bun to rule them all. Baker D Chirico’s buns are made from sourdough and have a winning ratio of lightness to chewiness as well as plump and delicious fruit. It’s the full works in these buns – orange and ginger puree, currants and sultanas alongside just enough spice to add some kick without being overpowering. The Rolls Royce of hot cross buns arrives courtesy of Phillippa’s. For $3.50 each you get a huge bun infused with six different freshly ground spices, candied orange peel and lots of fruit. Phillippa’s uses old style production methods to bake these aromatic hot cross buns, which have a golden top, shiny glaze and citrus tang, are light but high fruit content. 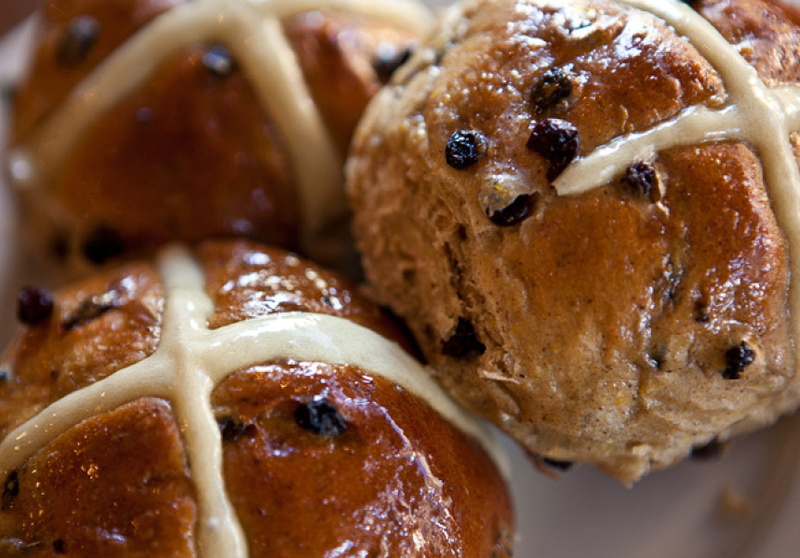 Topped with a shiny glaze, Dench’s hot cross buns are slightly sticky, with a lovely aroma. These babies are particularly good when toasted thanks to lots of sultanas, currants, raisins and a secret blend of spices. The mixture includes whole pureed oranges, which give the buns a strong citrus flavour, but for those who don’t fancy orange peel, Dench promises “definitely no candied orange rind”. Made from organic, unbleached, stone-ground flour, the bun is chewy while retaining a light feel. It errs on the salty side, but this adds a good contrast to the sweetness of the fruit. The most rustic and homemade-looking of the hot cross buns we tested, Babka’s hot cross buns are full to bursting point with raisins. The buns themselves have soft and light dough, which was almost as good eaten plain as when toasted. There was a subtle orange flavour in the mix, but again achieved without candied orange peel. The Babka buns are finished off with a sticky, glossy glaze. Brasserie’s traditional spicy hot cross buns are made from a sweet, yeasted dough, enriched with eggs and butter and scatterings of cinnamon, cardamom, ginger and cloves. The sweet and fluffy buns are popular, but a little lighter on the fruit content than some others. 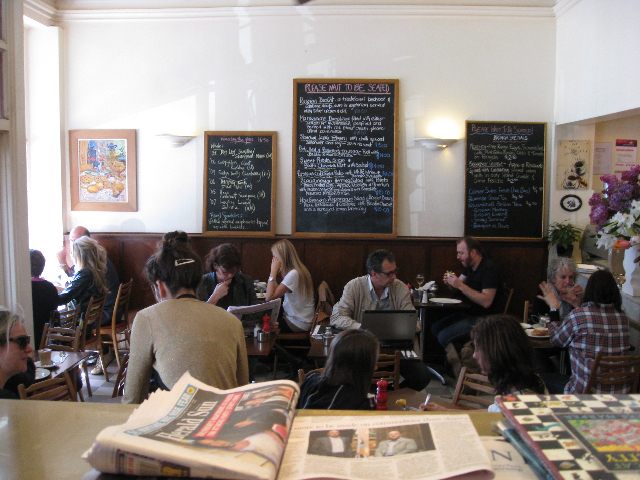 Swooping in from out of town were Geelong bakers La Madre. The sourdough buns are dense and heavy and toasting only improved the texture slightly, as they are delicious as they are with a strong and spicy flavour. We can only applaud La Madre’s efforts at producing carbon neutral hot cross buns (the bakery offsets production by purchasing carbon credits).